When it comes to events in Washington D.C., there’s always something going on here! You’re guaranteed to have a great time at any of the events. Whether you’re going to a rally, protest, parade, festival, inauguration, or you’re just looking for a great vehicle to sightsee with, we’ve got you covered the entire way. When you choose one of our vehicles for your premium transportation, you’re guaranteed to be in comfort and in style. You won’t have to worry about bad weather, traffic, or parking! Weddings are the most important events in people’s lives, which is why we take such special care in handling them. 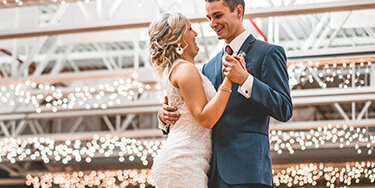 We’ve been professionals in handling weddings because we’ve been doing them for so long, so you’ll have no worries when you procure transportation from us. We take the care to make sure every detail is perfect, we even have wedding packages to cut down on cost and add special features. We have an amazing selection of elegant limousines and spacious party buses, the hardest part of getting a vehicle from us may be choosing which one to get! Bachelor and Bachelorette parties are the perfect event to get a party bus or limousine for, that’s a given. You and your closest friends and family are sure to have an amazing time in our luxurious vehicles. Whether you’re looking for a elegant limousine, or a spacious party bus with the chrome dancing pole, we’ve got you covered. We even have pink selection that the ladies will be guaranteed to fall in love with! You can’t go wrong with Washington Party Bus for your last night of freedom. You’d be the smartest parent in the world for getting a party bus for your child’s next school dance, and even the most popular parent, too! When it comes to your child’s safety, there shouldn’t be any gaps in the defense. Don’t let your precious cargo travel with an irresponsible teenage driver, it’s just not safe. Getting a party bus for your child’s next dance ensures their safety with our professional chauffeurs and maintained vehicles, and it makes you an awesome parent for doing so.